blog.atwork.at | Join us at SPC19 North America! SharePoint Conference North America 2019 will take place in the MGM Grand in Las Vegas, Nevada from May, 21st to 23rd, 2019. 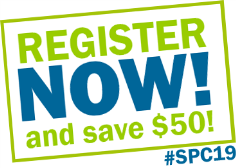 Add #SPC19 to your calendar! See the details at sharepointna.com. "The SharePoint conference returns to Las Vegas: the world's biggest and most comprehensive event empowering you to achieve more in the modern workplace with Microsoft 365." We from atwork will be there and deliver a workshop and some Breakout sessions. CU in Fabulous Las Vegas in May!